I've been playing with stars again lately and because this one was badly marked it has wonky stars which remind me of the meteor that streaked across our sky before it allegedly hit somewhere in WA last week. 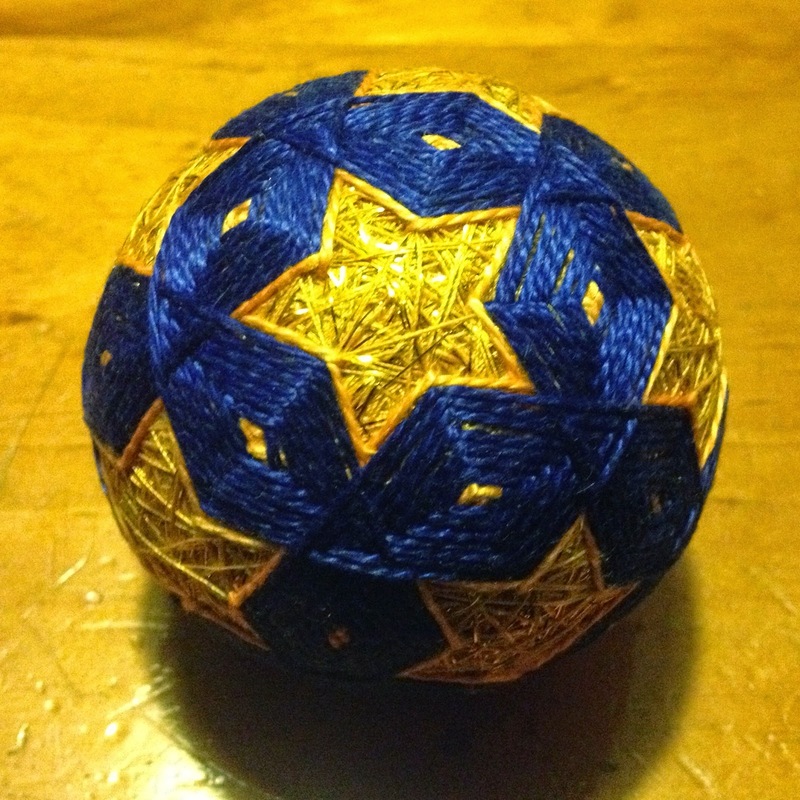 This one is a small regular sized temari. 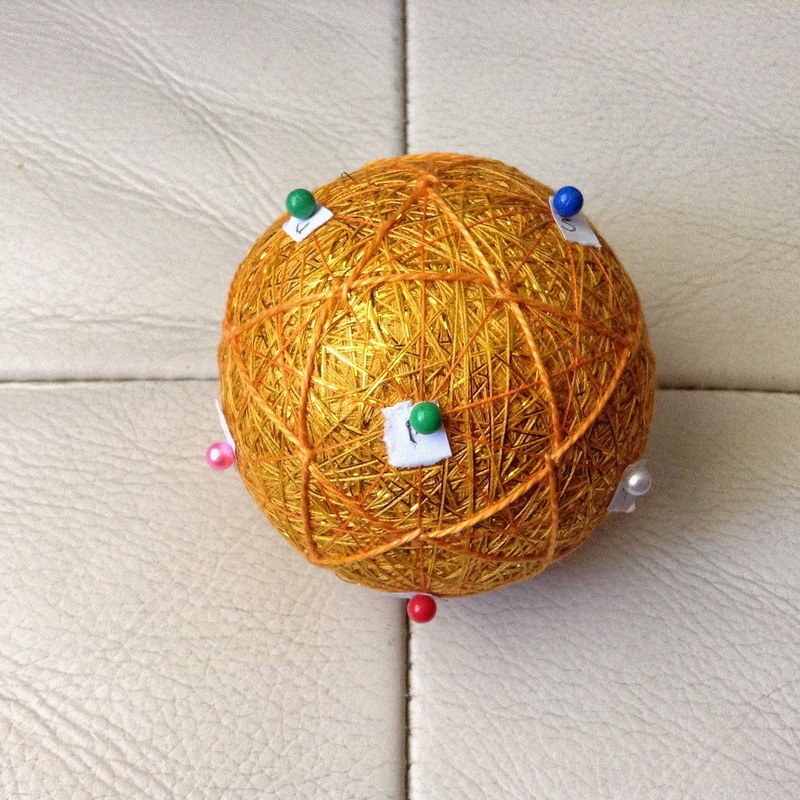 I wrapped it in bright golden yellow and added some fine Indian metal threads to the top layer. The stitching has been done in royal blue and the stars outlined in gold cotton thread. Seriously bad marking on this one, I will try it again with a more accurately marked base. It did turn out very sparkly.